Brian Deck is an American music producer and member of band Red Red Meat. He co-founded Idful Studios in 1988. 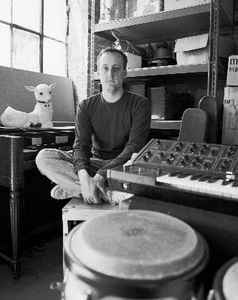 Since becoming a full-time producer, Deck has worked with bands and artists including Modest Mouse, Iron & Wine, Califone, All Smiles, Fruit Bats (band), Gomez, The Grates, Holopaw, Baby & Hide, David Singer and David Berkeley. Brian currently works at Engine Studios in Chicago, Illinois. Brian Deck attended college as a performance major and excelled at both drum set and general percussion instruments. On many of the albums Brian produces, he contributes some sort of instrument or vocal. Many of his albums include extensive percussion instruments and techniques. While recording the band Red Red Meat at Idful Studios he was asked to join the band behind the kit. He remained there until the bands disbanding in early 2000. Since then he has had a loose connection with Tim Rutili's Califone. He and Tim also collaborated with Modest Mouse frontman Isaac Brock for the band Ugly Casanova. Brian produced, and played drums on, their sole album, Sharpen Your Teeth; he also toured behind the record. According to Richard Edwards of Margot and the Nuclear So and So's, as of 2009 Brian will be the new drummer in his side project Vegetables.